Mrs. Josina Casimir studied Physics in Leiden and she did research at the Kamerlingh Onnes Laboratorium in Leiden during some years. Just like her husband prof.dr. Hendrik B.G. 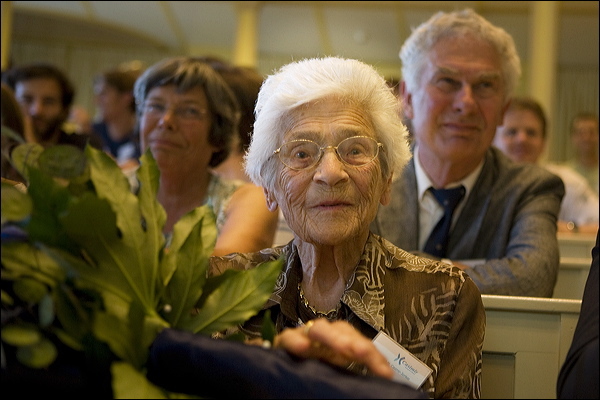 Casimir (deceased in 2000) she had a warm heart for Dutch Education and Research. We are very grateful to Mrs. Casimir for her active support of talented students and will remember her very positive attitude. Mrs. Casimir has become 100 years.